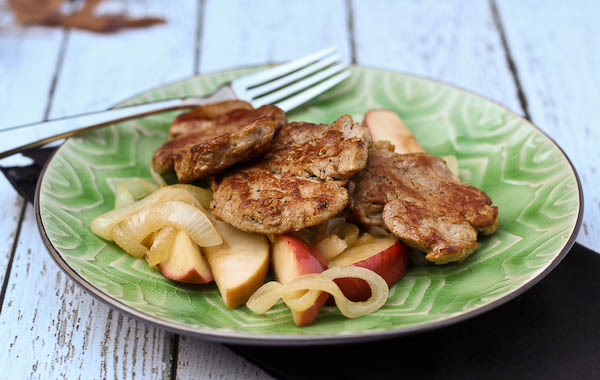 This pork tenderloin with apples is a perfect fall time meal — it’s easy to prepare and only makes one pan dirty! I know all we’ll probably see on food blogs for the rest of the month are amazing Thanksgiving recipes. Cranberry sauce, stuffing, gorgeously browned turkeys, and of course evvvverything pumpkin. I’m hungry just typing that sentence. Well, the truth of the matter is, we have to eat every day leading up until Thanksgiving. Or at least we should. 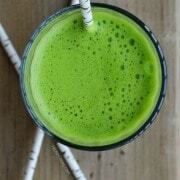 If you’re focusing tons of energy planning that perfect Thanksgiving meal (way to go! ), you might want a quick and easy meal for those pesky other days leading up to the main event. This recipe is perfect for that. It’s easy to prepare, doesn’t require many ingredients, only dirties one pan, AND it’s pretty healthy! So you can eat an extra slice of pie on Thanksgiving. If I haven’t convinced you yet, I’ll also say that this is the perrrrrfect fall meal. Paired with roasted squash? Color me happy! 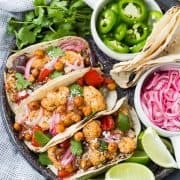 I’m honored to be over at Better Homes and Gardens chatting my little head off about this great recipe. Actually, my head isn’t little at all but it’s clearrrrly because of the massive quantity of brains in there. Anyways, that’s not the point. I’m super pumped to have the honor of blogging over at Better Homes and Gardens (BHG PEOPLE!!!! So exciting.). 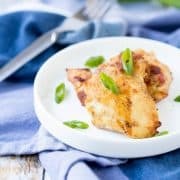 Head on over there to check out this simple and delicious recipe. I’m absolutely positive it will become a weeknight favorite. In a large skillet, melt butter over medium heat. Add onion slices. Cook 10 minutes, stirring occasionally. Add apples; cook 15 to 20 minutes more or until apple and onion slices are tender and beginning to brown, stirring occasionally. Season with 1/8 teaspoon salt. Add vinegar; cook and stir for 30 seconds. Remove apple mixture from skillet; cover to keep warm. While apple mixture is cooking, trim fat from meat. Cut meat crosswise into 1/2-inch thick slices. Sprinkle pork lightly with salt and pepper. After removing apple mixture from skillet, heat oil in the same skillet over medium-high heat. Add pork; reduce heat to medium and cook for 6 to 8 minutes or until no longer pink, turning once. To serve, spoon apple mixture onto the centers of 4 dinner plates. Top each with one-fourth of the pork slices. Serve immediately. Recipe can also be found at Better Homes and Gardens! Impressed you were over at Better Homes and Garden. I like that magazine. And this is a great recipe to chatting away about. 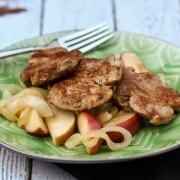 I love pork with apples. I like this version, pork and apples all the way! What a refreshing departure from all the Thanksgiving recipes! 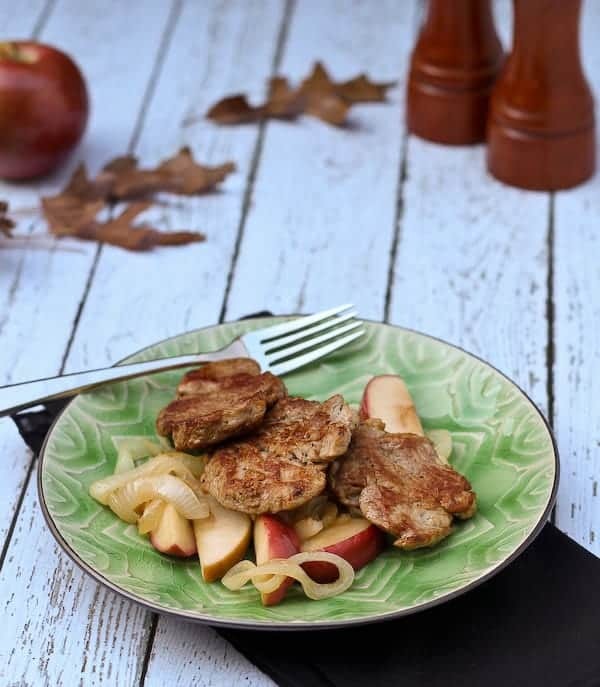 There’s something so comforting and classic about the pairing of pork with apples. And SO fall!